Bulgaria and especially the Central Balkan has talented craftsmen and women that are keen to share their art to popularise it internationally. 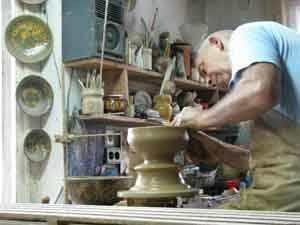 Here you can learn as a beginner or improve and diversify your skills as a craftsman. We will be glad to introduce you to the best arts and crafts in Bulgaria. JMB Travel Bulgaria has experience organising worshops and made-to-measure holidays that include a choice of arts and crafts. We also support and promote the work of local craftsmen and women. 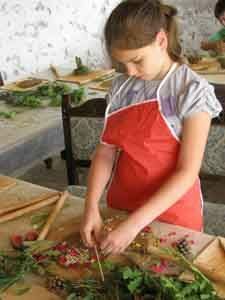 We believe that by sharing their knowledge Bulgarian crafts will survive and develop. It also helps many talented craftsmen and women live from their passion. We regularly include arts and crafts into the family holidays we organise as they are fun for children and parents alike. We include pottery, pyrography, painting on wood, eggs and other materials as well as art from nature and upcycling. We actively share in the Maker Movement. And we organise fiber arts holidays too. We want to make Bulgarian crafts accessible to all. At the Aromahoney mountain retreat in the Central Balkan we organise family holidays that combine pottery, nature discovery and bushcraft skills. The family holiday in the mountain was combined with a beach holiday on the Black Sea coast. As a tour operator and DMC we organise hotels, transport, visits, activities and traditional Bulgarian dancing and singing.